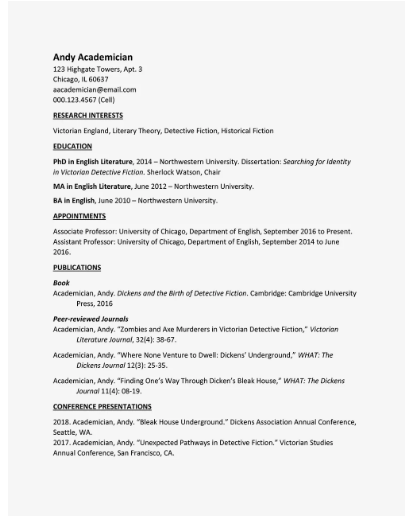 Curriculum Vitae Template- Why do we use CV? Why do we need it? CV includes more information about you than a resume. It takes more than one page and it should be at least two or three pages. It includes your academic background and achievements, researches, awards, grants, publications and teaching experience. A resume format is different from a CV format. Why Use a CV Template? If you use a CV Template, you can have a well-organized CV and you can express yourself more correctly. Templates can help you with the style of yours. Because font, font size, paragraph organization are quietly important factors in CV. Employer or Human Resources Specialist demand a well-prepared CV from you. You should be ready to such requests. You can download a free CV template from Microsoft Word. Open Microsoft Word and click on “New” section. Finally, select the template you want to use, which will open up a Word document with that template. Firstly click on “Resume and Letters” section. Secondly click on one of the title which you are interested in. Thirdly click on “Download” button and follow the introductions. Finally click on “Edit in Browser” to edit it as online. Check out CV templates and examples: You can surf on web about CV examples and templates before you start to prepare your CV. The examples and templates can give a different idea to you. Maybe you can reach a suitable format for you on web. Make the CV unique to you and the job: Firstly you should have a draft. You can write what you will write it , which sections you will have, how you will introduce yourself in your draft. You can write all of them. Then you organize it and prepare your CV. Remember to customize your CV for your experience and for each job application: Certainly you should use keywords about your department. If you use them, they can take the employer’s or Human Resources Specialists’ attention. And so you become one step ahead from others. Keep it short and to the point: You should write your CV as succinct. You shouldn’t describe unnecessary things about you like what time you go to your home. You should keep it short and to the point. In your CV, you should mention about your academic achievements, educational background, publications, awards, researches, skills, qualifications and experiences. Tell the truth: While you prepare your CV, you should certainly tell the truth. If an employer or Human Resources Specialist understands that there is a lie, it will be a big problem for you. Because they check your references, your experiences and whatever you write in your CV. Give it a unique file name: You should give it a unique file name. You can use your name and surname as file name. For example: lastname.doc or lastnameCV.doc. Proofread: You should read it again before you send it to an employer or a Human Resources Specialist. You should proofread You should be careful about grammar and writing mistakes. A CV example which you can use as a format,, is well-prepared.